In this article we’re going to cover co-wash cleansing conditioners vs normal shampoos and how they differ from one another as well as which one I prefer. To start off most of us are aware what shampoo is but many of you might not have a clue what a co wash cleansing conditioner is. Co wash stands for conditioner only wash which means just that it’s a conditioner that you use to wash your hair only, nothing else is needed. This means there is no need for any other wash products in your hair because that is what the cleansing conditioner is for. I wanted to clarify this before we got any further you will see me use co-wash and cleansing conditioner a lot so I just wanted to point out that these two terms are the same thing just two different names for it. 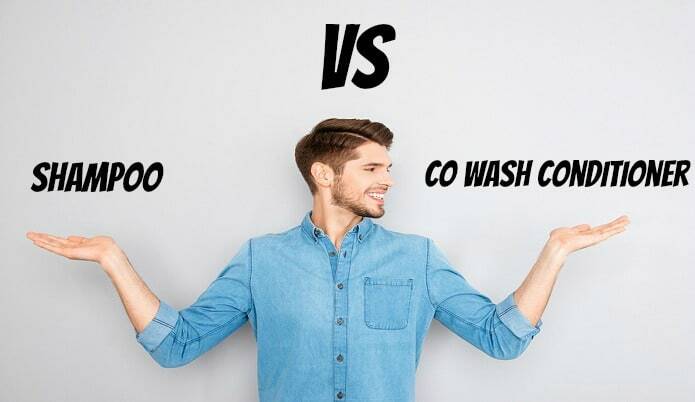 I was a bit confused when I kept seeing these two terms when I first heard of co wash so I figured some of you may be having these same thoughts. The main difference is that shampoos (majority of them) focus on just ridding your hair of pretty much everything, including things you may not want gone. By that I mean shampoos bombard our hair with a lot of chemicals and cleaning solutions that do leave our hair “clean” but they also strip away a lot of our natural oils that our hair naturally needs. This effects how our hair looks but as well as side effects that we don’t really think about. My reason for swapping to co-wash was purely on how much better my hair looked not so much on the side effects. Just wanted to point out the side effect information in case some of you might be interested. Now cleansing conditioners do clean our hair but it’s not a clean in the same approach that shampoos take. With co wash conditioners they clean our hair but try to do it in a much more natural way by leaving the natural oils that help our hair and give it a better look overall. Here is an analogy to explain it better. 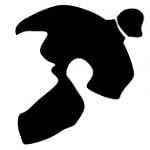 Washing hair with shampoo is like dropping an atomic “cleaning bomb” on your hair, sure its going to clean everything in its wake but also a lot of other things that it hits as well. Cleansing conditioners is more like sending “cleaning” troops into your hair to take out the individual bad guys but leaving the good guys their alone for the most part. If you’ve read any of my previous articles then you would know that I’m a huge fan of co-wash and how it leaves my hair looking. With that said though there have been a lot of shampoo brands that have been doing a much better job of what ingredients they put into their shampoo. This is making them do a much better job of cleaning without the typical shampoo aftermath on the hair. So I won’t completely write off all shampoos for that reason. The winner in my opinion is cleansing conditioners. I’d give co wash a try to see how it makes your hair look. Do not use shampoo and then a cleansing conditioner together like you normally would with a regular shampoo and conditioner combo. This completely defeats the purpose and you will not be able to tell how the cleansing conditioner affects your hair. I recommend using a co-wash conditioner for about a couple of months to truly see it work because your hair is going to be use to being blasted with shampoo for so many years that it will still be producing its natural oils at that rapid pace to try and compensate for the shampoo leaving none in your hair. This will be 100% normal so if your hair seems more oily than usual after stopping shampoo then don’t worry it usually goes away because your body realizes that the natural oil is not getting killed off.